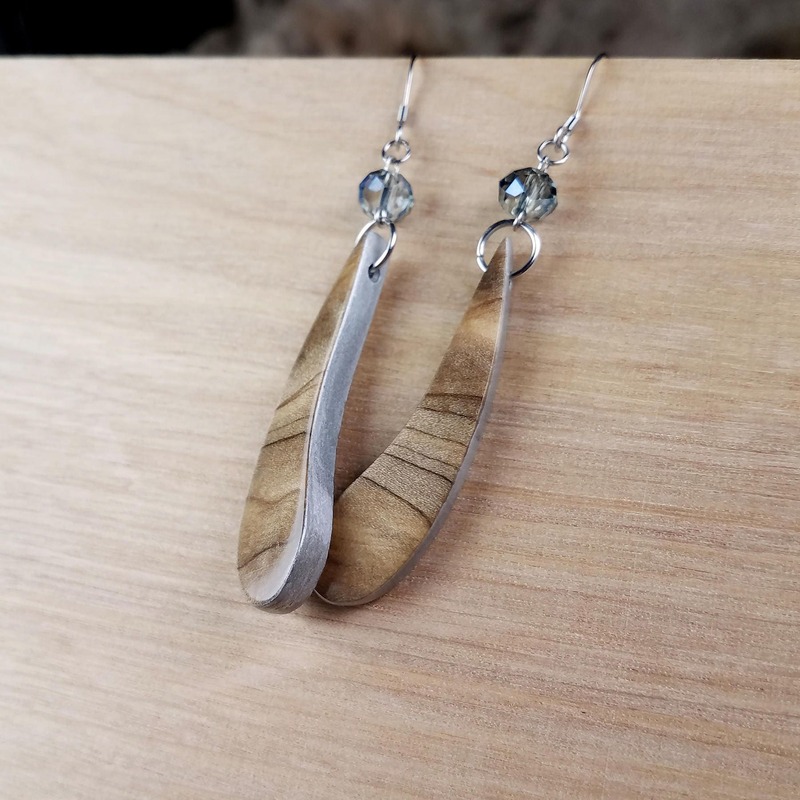 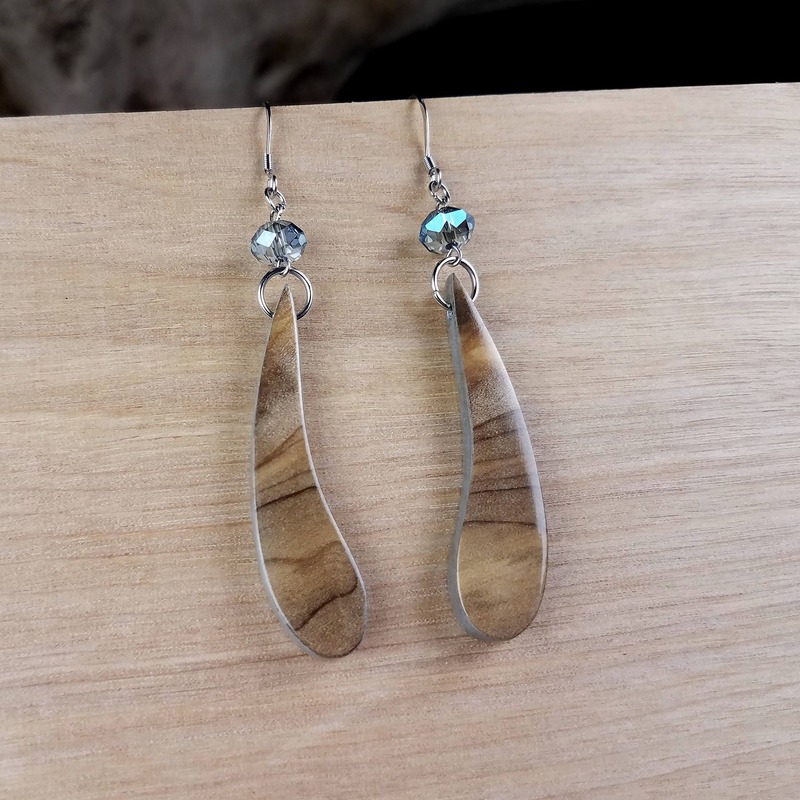 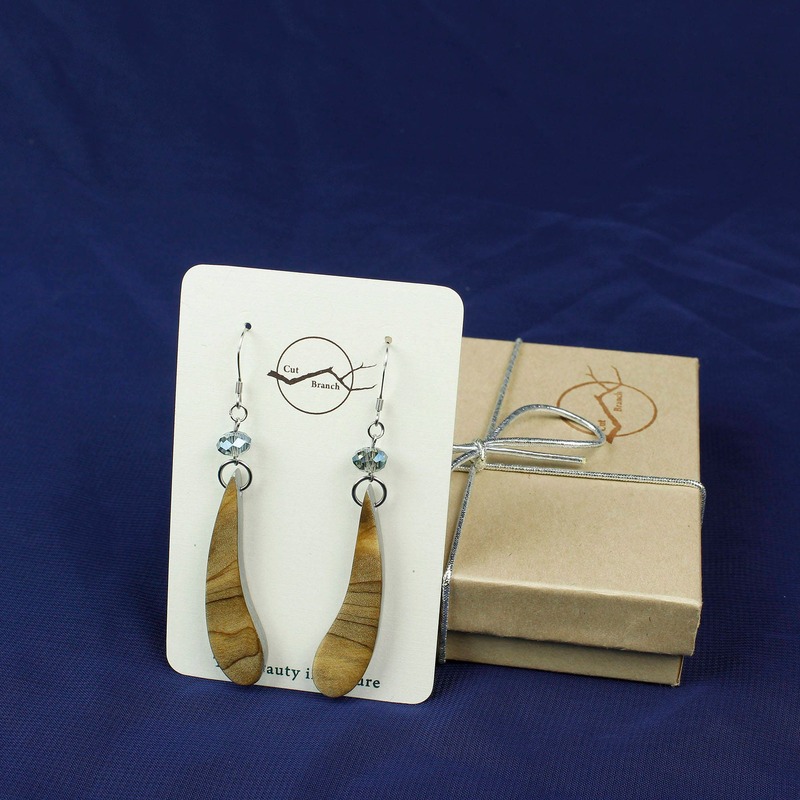 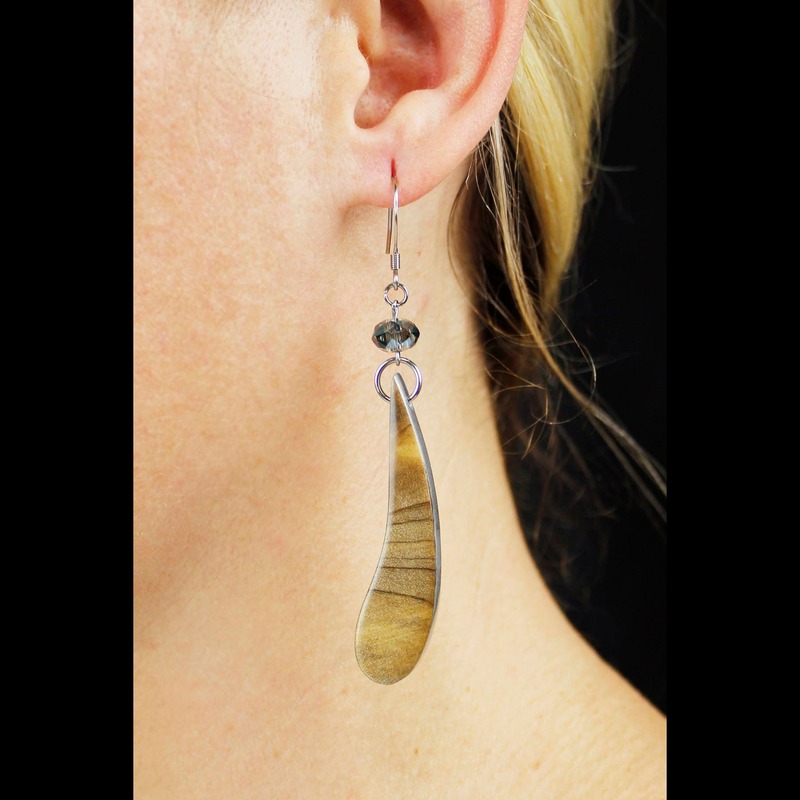 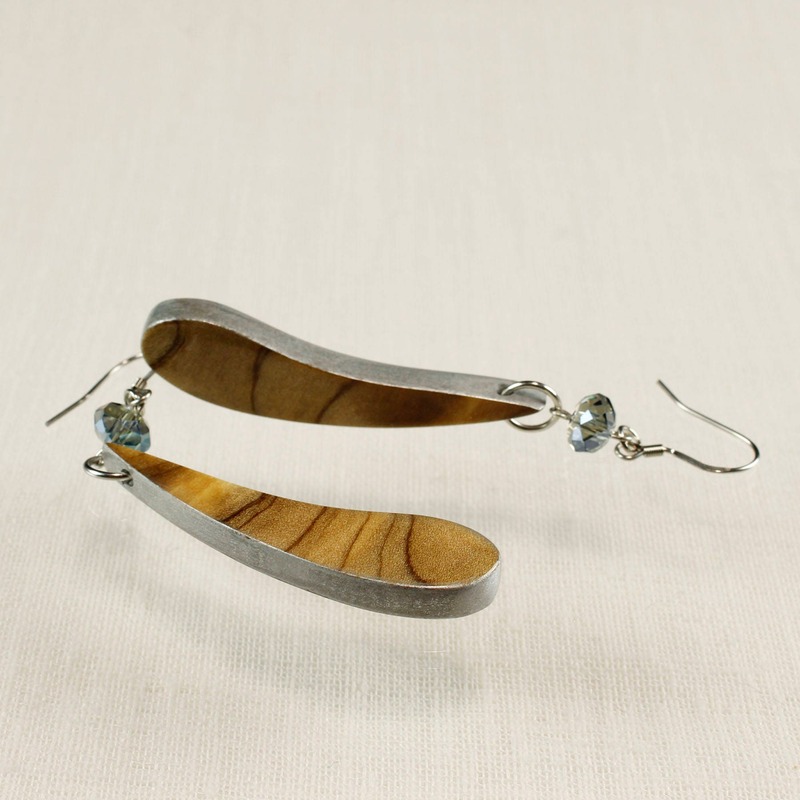 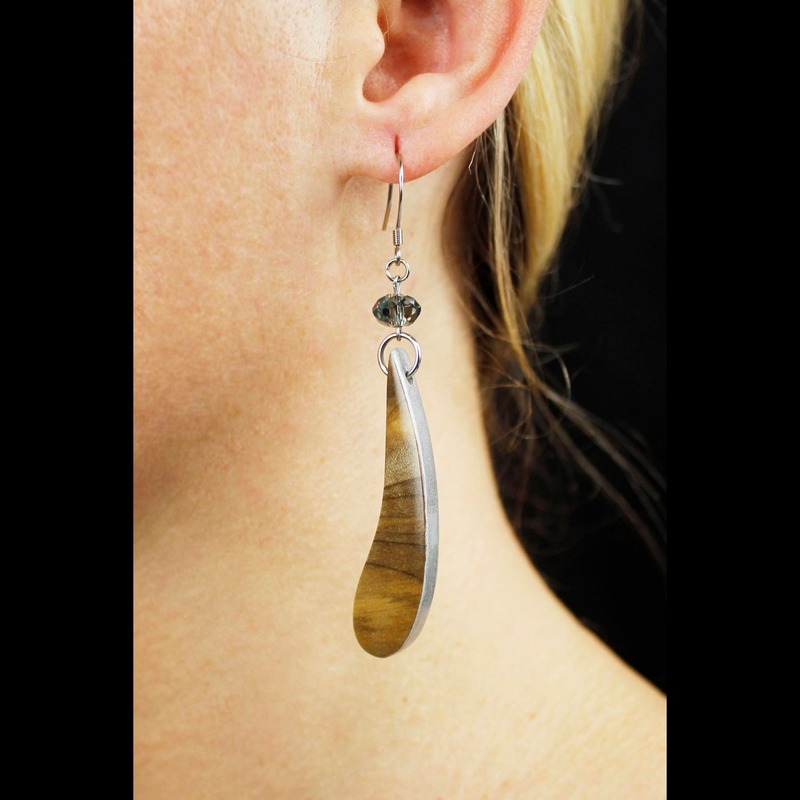 Reclaimed Magnolia wood carved into beautiful modern teardrop wood dangles. 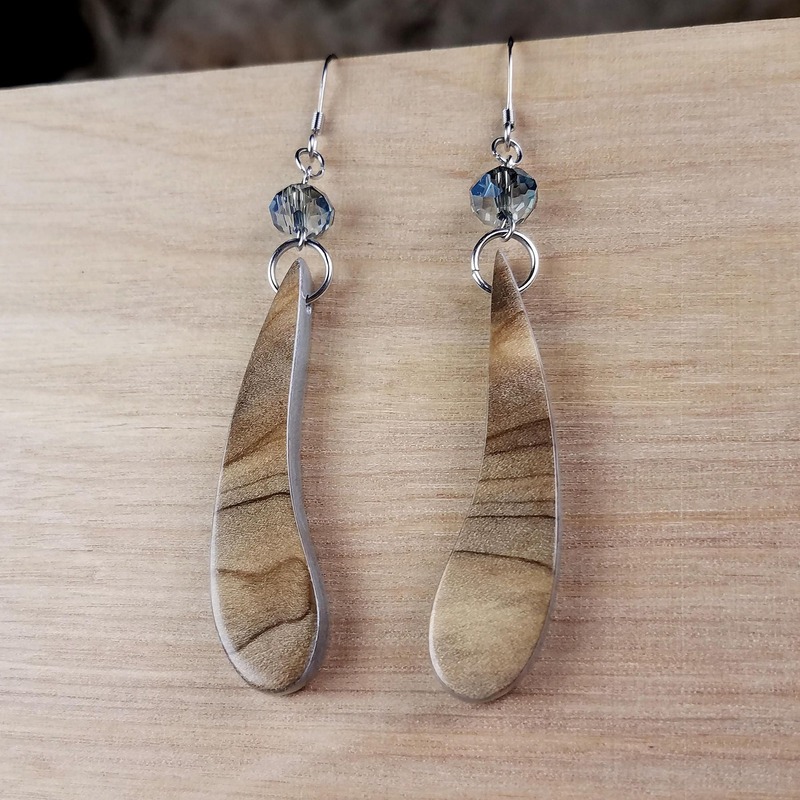 Boho hippie chic earrings, a unique jewelry gift for her. 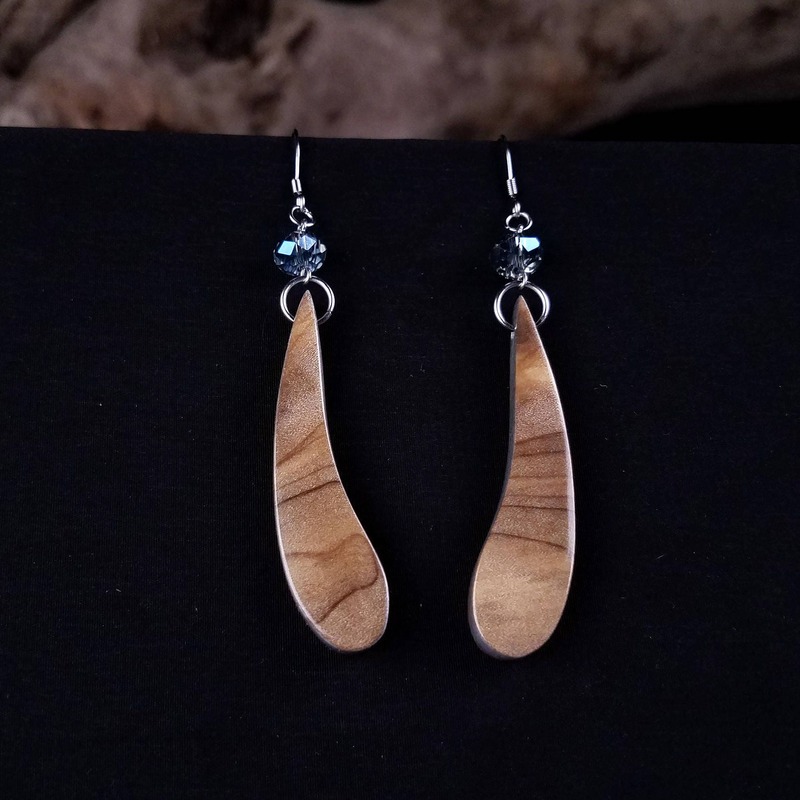 A natural rustic form, carved with reclaimed wood.